I wonder if this is one of those soaps that I will look back on and think…what the heck was I thinking?! It seemed like a good idea at the time! 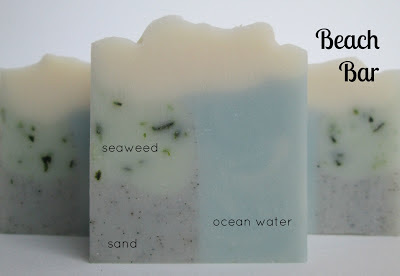 For a long time I’ve wanted to try making a soap using ocean water. I recently received a new beachy-scented fragrance oil and I thought this would be the perfect opportunity to try a soap made from ocean water. And what’s a beach soap without sand?! So, I headed off to one of the local beaches to collect some ocean water and sand. To clean and sterilize the ocean water, I ran it through a coffee filter first and then boiled it for 10 minutes and then let it cool. I poured the water into a jug and kept it in the fridge until I was ready to use it. To dry out and sterilize the sand, I spread it on a foil-lined baking sheet and baked it in the oven at 250 degrees for 1 hour. When it was cool, I poured the sand through a fine mesh strainer to get only the fine sand to use in this soap. I ended up using seaweed sheets (the kind for wrapping sushi), because I already had some on hand, and it was already dried and ready to go out of the package. I used my stickblender to break the seaweed down into smaller pieces. Keeping in mind that the salt in the ocean water might cut the lather, I used 31% coconut oil in my recipe and added some castor oil as well for extra bubbles. I added mango butter to offset any dryness that the high percentage of coconut oil might add. I was also concerned about using real sand in the soap, thinking it might be too scratchy, but it’s not at all; being that it’s just in a small corner of the soap, it adds a nice, slightly exfoliating feel to it. This was also the first time using my new SoapHutch mold, and I can’t tell you enough how much of a dream it is to use! It was a bit of a fight to get it together the first time…the pieces fit so tightly, but I know it’s supposed to be like that! 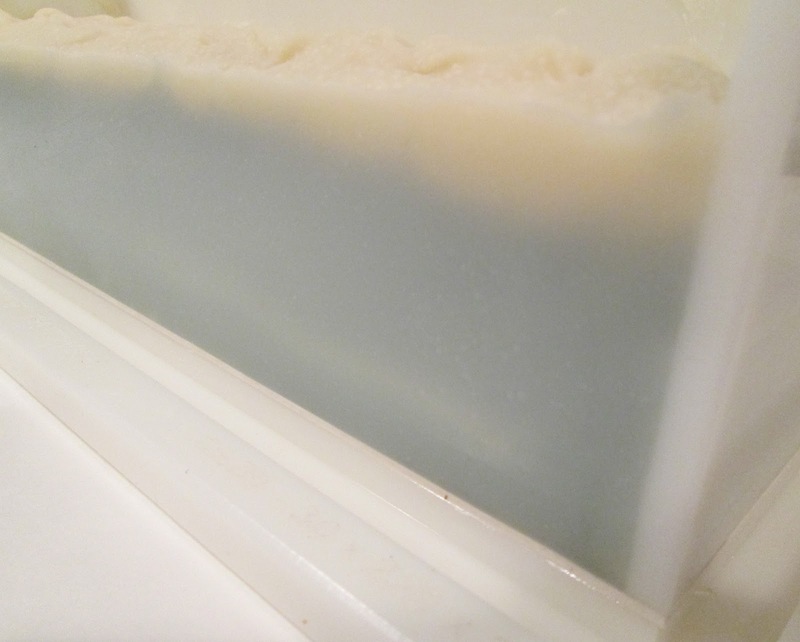 I also made use of the vertical dividers that Rich fabricated and poured the blue soap into one half of the chamber, and then poured the other two soaps in a layer on the other half, and then carefully pulled out the divider. The vertical divider is acrylic, which I like because I can easily see through it to compare if my two sides are even. I should also mention that I did CPOP this soap, which most likely contributed to the ease with which the mold came apart from the soap. After I poured the soap into the mold, I put it in the oven at the lowest setting (170 degrees) for 1 hour and then left it to cool in the oven overnight. I did get tiny bubbles on the surface of my soap, so maybe next time I will just preheat the oven to 170 and then shut if off when I put the soap in. I unmolded the soap first thing in the morning...I forgot how much I love CPOP! I didn’t have to use any sodium lactate in this batch either. You really put so much effort preparing your ingredients but it was worth of it. The soap turned out grate! This is one of my favourite soaps, Cee! 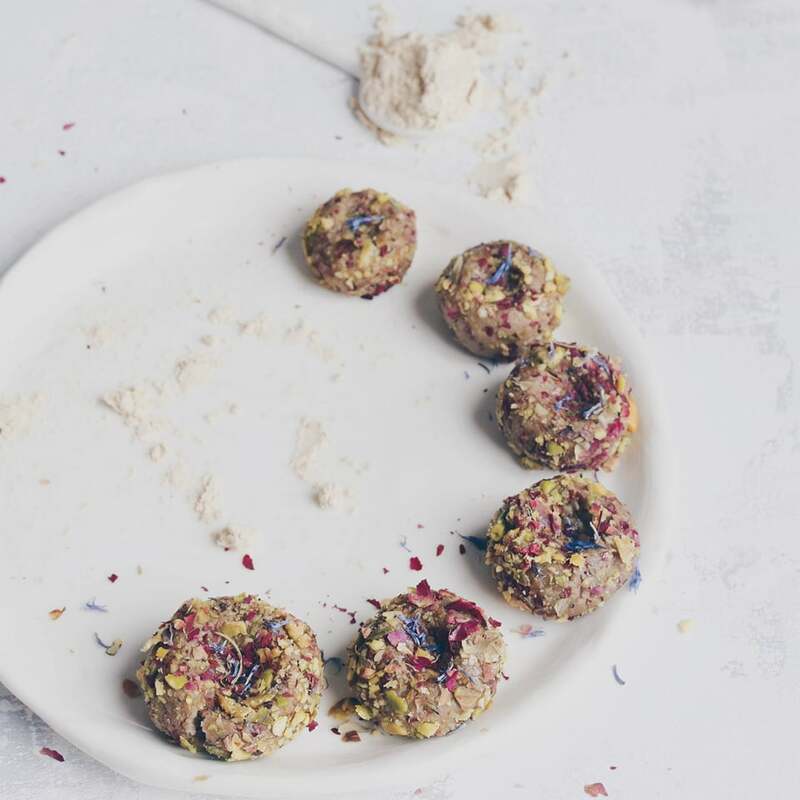 Love its delicate look!And all these original ingredients!!! Can't wait to see your Melon Crush soap! Thanks Gordana and Natalia! It's one of my favorites so far too Nat ;) Hope both of you have a wonderful weekend as well! 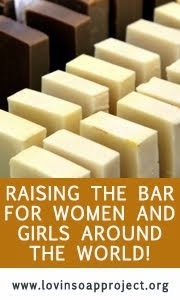 What a hard work you put into this soap! I believe you're proud of your end product,which is really unique! Now, I feel ashamed for being lazy to infuse my oils! I love Melon Crush colours, I wonder if you swirled it after you took dividers out!? Thanks Maja, it does sounds like a lot of work but it wasn't that bad! I have enough prepared now for a few batches, so it was worth the effort. No, I didn's swirl the colors, although I was tempted...maybe next time! Deine Seife ist ganz wundervoll. Stunning soap, Cee Gee! It really is like having the beach in a bar. How clever to use ocean water, sand, and seaweed. It must have taken a lot of patience to prepare all of the ingredients. The effect is well worth the effort, though. And your mold looks so cool! Gorgeous! I love your subdued colours as well. Well done! Can´t stop wondering why you wouldn´t like that soap in a year or so? It´s stunning! You are so creative and talented. 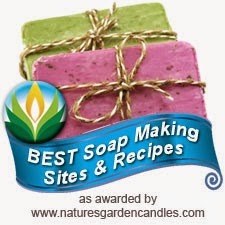 I am so excited to see what cool new designs you come up with using your amazing soap mold! It seems like a great mold for creative soaps! 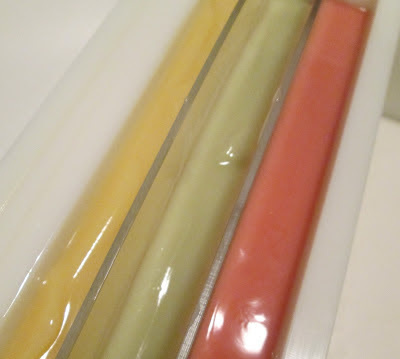 And I love the beach soap - I've been trying to come up with some designs for some sand I brought back with me from my wedding, but I was worried the sand might be too scratchy. Glad to hear it works well in your beautiful bars! I love the soft colors of this beach bar! The top is very light too. You didn't have to use much TD either if any at all I bet. I look forward to future soaps! Thank you so much for your nice comments Kathy, this is definitely one of my favorite bars. I also thought for sure the seaweed would turn brown by now, but it hasn't yet...fingers crossed! I love the color of this soap....so soft! These 3 studies from large medical magazines are sure to turn the conventional nutrition world around!